For DIY instructions on how to convert a train table to light table click HERE. We cut 2 pieces of peg board the size of the train table boards. We purchased Light Brite pegs on ebay. I think they were around 5 or 6 dollars. 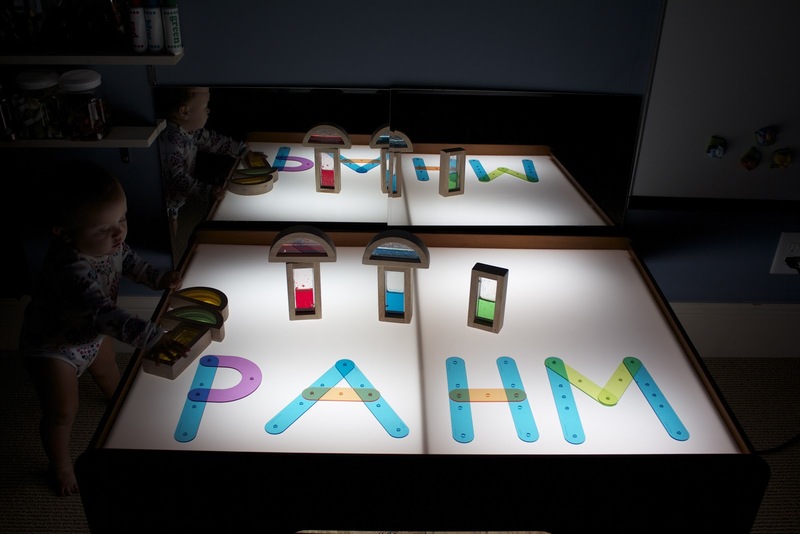 Just lay the panels on top of the light table and you have yourself a DIY Light Brite! The pegs fit perfectly. 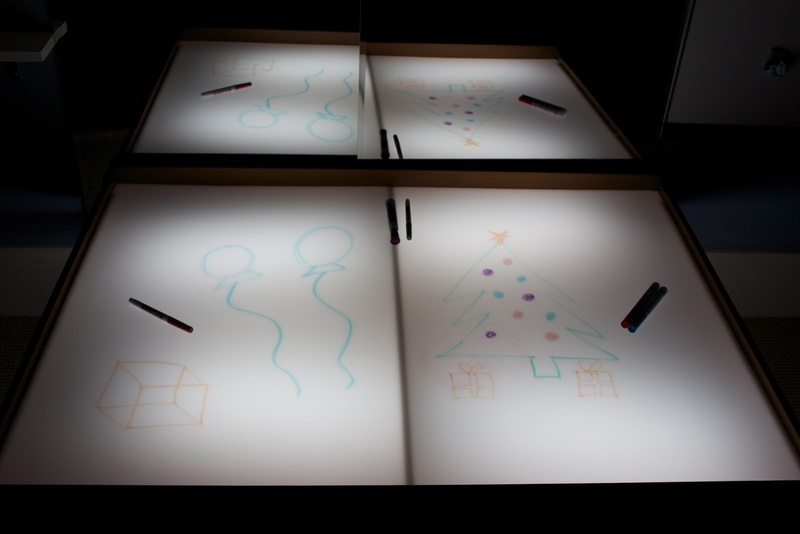 You can use the white plexi glass top to the light table to draw and paint on. Here it is with the light on. White board with the lights off. 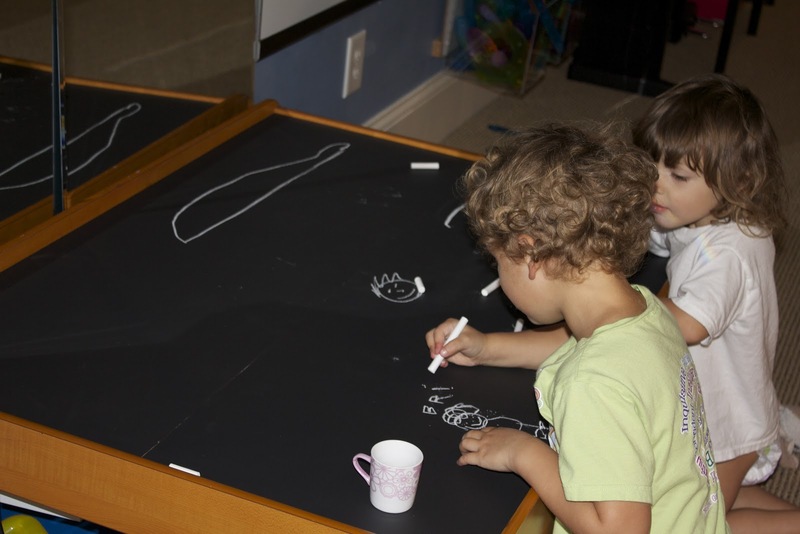 We painted one side of our train table boards with blackboard paint. Blackboard paint can be purchased at Home Depot. We used two coats. Lastly, we painted the other side of the train boards white. 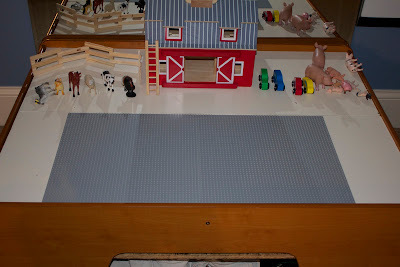 We use this surface for everyday play... playmobil, building, legos, etc. I also glued two pieces of Lego base plates to one end for lego play... which you can see below. I used 2, 15 x 15 base plates... they also sell them in other sizes and colors. These are just a few options but the possibilities are endless. 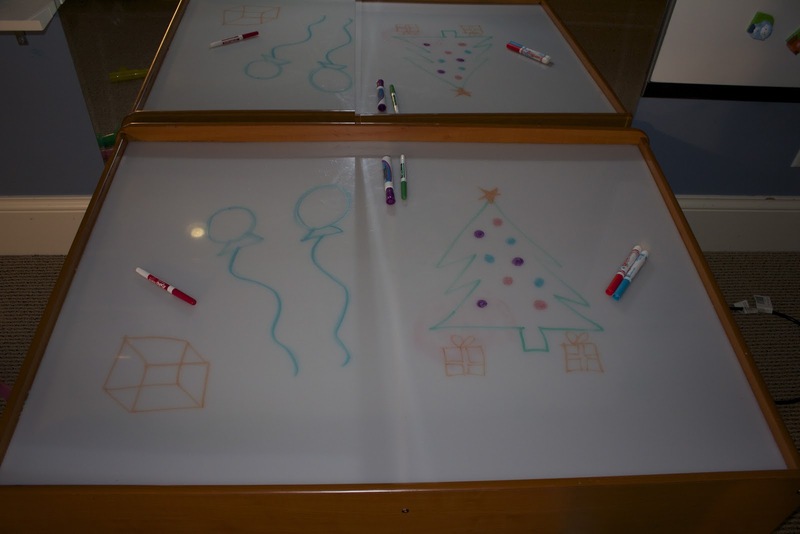 We have a train table and have used it as a surface for a couple of other things but I'm eager for my hubby to turn it into a light table over Christmas break...thanks for the other additional ideas!! So we've copied your design for the light table at our house too and we love it. 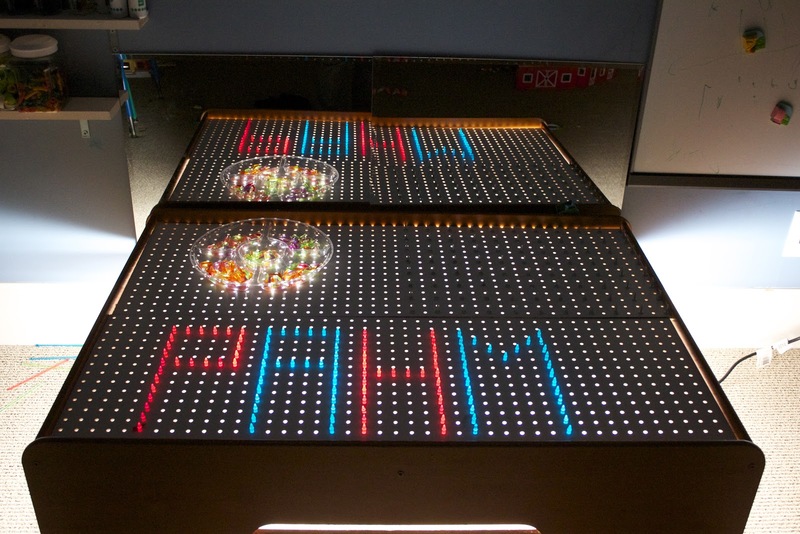 But HOLY COW, that Light Brite idea is amazing!!! I've been telling my husband how sad I am I can't find a Light Brite set up like I had when I was a kid but this is a solution that is cooler than I could have ever imagined. Thanks for sharing all your great ideas! I also really like the blackboard idea. I have some chalkboard paint already. I'll have to paint the backside of our train table board as a chalkboard, so cool. Thank you so much for these ideas, I was just looking at our train table (that we got used when my four year old was tiny) thinking it might be time to give it to someone else. Would much rather give it new life, as my little guy would love any and all of these ideas! We are in the middle of making both the geoboard and Lite Brite table with our train table we got off Craigslist for $20! We bought over 800 Lite Brite pegs on eBay for cheap too. Since my husband is trying to make a peg board for his tools in the garage, he bought extra peg board for the table and had it cut to size at Home Depot. 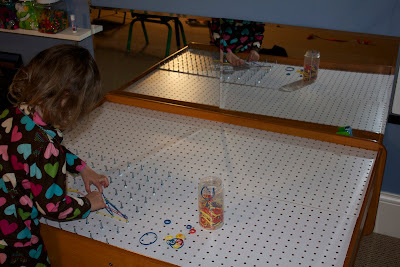 We did not know there were two sizes of pegboard holes, however. The Lite Brite pegs are too small. Fortunately, we bought only one peg board for the train table at the time and will now use this sheet for the geoboard. We'll get a second one cut to size with smaller holes. Home Depot says there are two hole sizes. 1/4 in and 1/8 in. 1/4 is too big.